Not sure what to ask for? Start here. Key to getting what you want, need and deserve is…knowing what you want, need and deserve. I know, I know. Painfully obvious. But you’d be surprised at how often those things aren’t very clear to us. We read a book, skim an article, watch a fab webinar and start thinking “Oh! That’s what I need! I should be doing that!”…and then we scurry off in that direction. Or our business bestie starts to see incredible results because they’ve started doing something or other…so we start doing the same. Or, after a long evening of sitting on the sofa staring at the wall and maybe even crying a bit because nothing is working for us…we launch into a flurry of activity and change and throwing spaghetti at the wall to try and get something to stick and pull us out of this down low, no good situation we’re in. So what can we do instead? How do we make sure that we're going to take action and make the ask for things that will *really* to take us where we want to be? 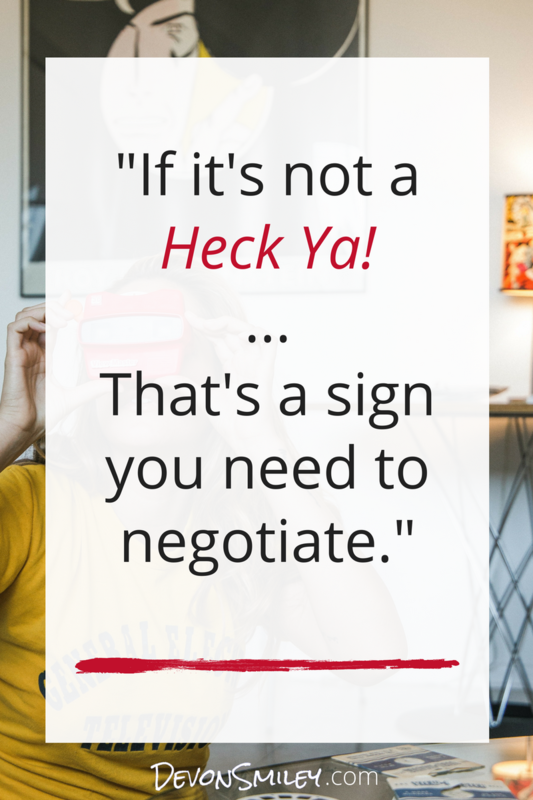 If you’re feeling less than ‘heck ya!’ about something in your business – that’s your sign that there’s something there you can be transforming. When you’re bummed about dealing with rush hour traffic to meet a client? That’s a sign. When your hosting bill arrives and you stress about paying it? That’s a sign. When you see someone’s name pop up in your inbox and break into a sweat? That’s a sign. My challenge for you this week is to keep this Heck Ya! test in mind and make note of all the things that are leaving you feeling ‘meh’ instead or marvellous. This will help you spot opportunities to initiate change for your business and start getting some priorities in place. Let me know in the comments below what your #1 ask is going to be to bring more Heck Ya! into your business and life?